Toulouse President: Todibo To Barcelona A "Mistake"
On Tuesday, Barcelona announced the signing of Toulouse defender Jean-Clair Todibo. The France Under-20 defensive midfielder and center-back will join the LaLiga leaders on July 1, when his current contract expires. Todibo's move to Spain has come under criticism from Toulouse club president Olivier Sadran, who called the decision a "mistake," and characterized Barcelona as arrogant throughout the negotiation process. "They (Barcelona) acted with arrogance in this deal and coming from a big club, it isn't very gracious behaviour, although legally they did have the right to do so," Sadran said in an interview with L'Equipe. Sadran also implied that he learned of Todibo's decision through media reports, not the player himself, and went on to say that he didn't believe Todibo was ready to move on to a club as high-profile as Barcelona: "He is a player who has a lot of quality but who has almost no experience." 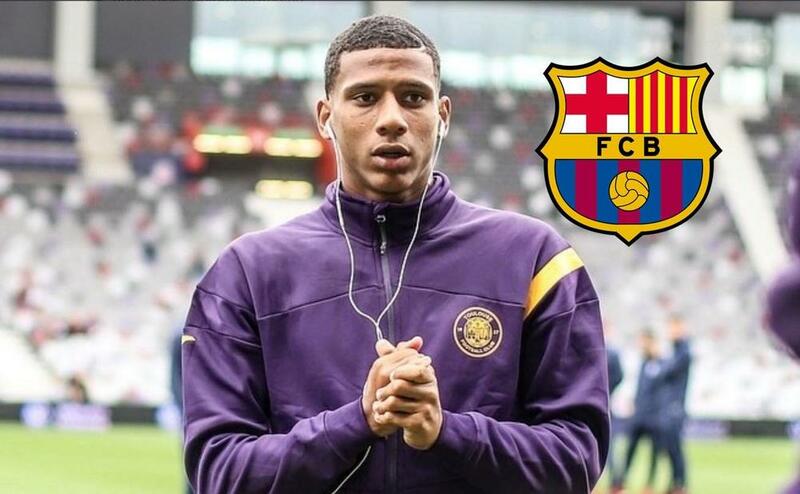 Todibo reportedly turned down offers from the likes of Manchester City, Juventus, Inter, Napoli and Lyon before choosing to join Barcelona this summer.